Cohousing: What Exactly IS It? 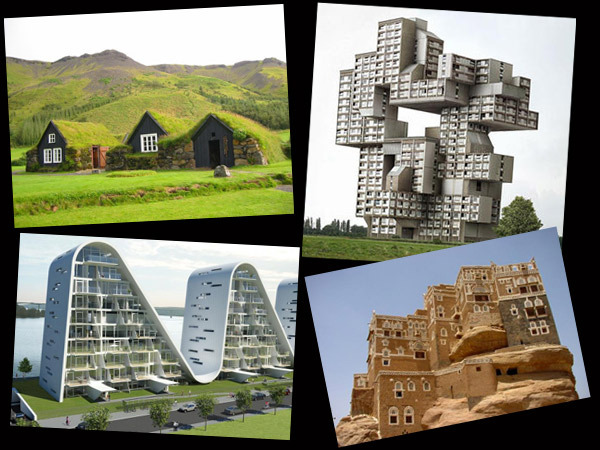 Quirky samples from ‘Strange houses around the world’ website. The curious dwellings above may or may not be official cohouses, but they certainly feature two key elements of cohousing—small units located near each other. Besides that, they’re fun to imagine living in! But what does it really mean to live in cohousing? Does the group share chores and expenses? Is every decision by consensus? What space is shared and what is individual? And, what if you don’t like your neighbor? Or someone signs on but then doesn’t carry his or her weight? Is it becoming more popular because the nation is aging? How much does it cost? Can you rent or must you own? If you try it but don’t like it, can you get out? A little background: The movement began in the 1960s in Denmark when Danes found something lacking in their single-family-home environment. The concept crossed the Atlantic in the 1980s and by 1991, the first community, Muir Commons, in Davis, California, was completed. Today over 100 cohousing communities across the U.S. and Canada are in various stages of development, and more than 75 are finished and occupied. Join host Kathleen McCoy, and bring your questions and curiosity.